(Sept. 4, 2018) -- UTSA has received a four-year, $1.5 million grant from the National Science Foundation’s Improving Undergraduate STEM Education: Hispanic-Serving Institutions (HSI) Program to improve student success and the diversity of students in the science, technology, engineering and mathematics (STEM) fields. The HSI Program seeks to enhance the quality of undergraduate STEM education at HSIs while increasing retention and graduation rates of undergraduate students pursuing degrees in STEM fields at HSIs. UTSA will use the funding to develop and implement new instructional methods and curricular changes focused on academic literacy, student mentoring, and instructional inquiry and reflection in an effort to transform its undergraduate curriculum and improve the persistence rate of its STEM students. The university currently awards 1,045 bachelor’s degrees in STEM fields each year. Among those graduates, 52.6 percent identify as Hispanic, African American, American Indian or Alaskan Native. According to the National Center for Higher Education, only 55.5 percent of U.S. students who pursue a STEM degree will graduate with a STEM degree. Gateway courses, lower-division courses that students must complete to proceed through their degree programs, are particularly challenging for STEM majors. In Fall 2016, the pass rates for UTSA gateway courses in physics, calculus, chemistry and engineering analysis were 63, 61, 52 and 51 percent, respectively. These pass rates decreased an additional 4.2 percent for Hispanic students majoring in engineering and six percent for Hispanic students majoring in science or math. To improve undergraduate student persistence from lower-division to upper-division courses, a team of UTSA faculty members from science, engineering, and education and human development will implement six strategies, building on the Language, Literacy and STEM (LA-STEM) Framework. The framework is rooted in the belief that literacy skills support success across all academic disciplines and are a necessity for students learning STEM concepts. Evaluate the relevance and effectiveness of the institutional curricular redesign. Additionally, innovative cross-disciplinary partnerships will be established between UTSA STEM and Education and Human Development faculty members to create groups of faculty leaders that promote academic literacy in the development of strong university-level STEM teaching and learning. 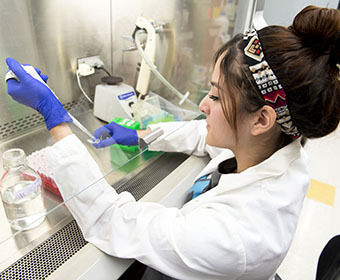 This program will benefit STEM undergraduates at UTSA by increasing their retention rates, critical thinking skills, professional knowledge and self-efficacy. Taken together, this will support timely completion of undergraduate degrees and will increase the marketability and job placement of UTSA graduates. The grant team will be led by Shipley, Mark Appleford (Biomedical Engineering), Juliet Langman (Bicultural-Bilingual Studies) Kelly Nash (Physics and Astronomy) and Jorge Solis (Bicultural-Bilingual Studies) with support from Krystel Castillo (Texas Sustainable Energy Research Institute at UTSA), Harry Millwater (Mechanical Engineering) and Orlando Graves Bolanos (Interdisciplinary Teaching and Learning and the DoSeum). Learn more about UTSA’s Presidential Initiative on Student Success. Learn more about UTSA’s University College.